We are a leading Manufacturer of soap mould for santokev stamper, soap mould for britannia stamper and soap mould for stamper from Mumbai, India. 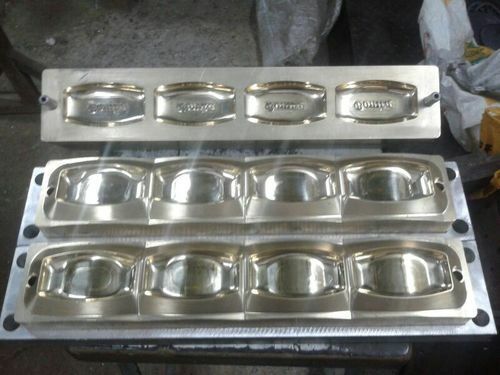 We feel immensely pleased to offer an extensive gamut of Soap Mould for Santokev Stamper. Our offered soap mould is manufactured by our proficient professionals utilizing high grade raw material and modern technology. In order to maintain the quality, this soap mould is examined on different parameters by our experts. 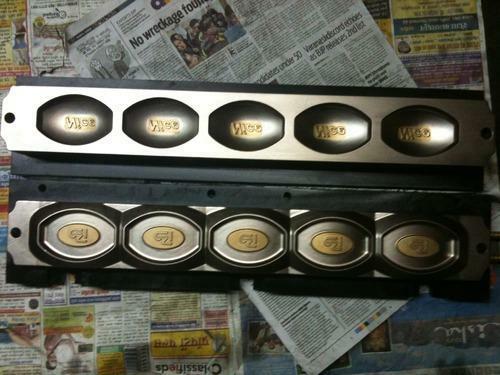 Provided soap mould is available in variegated specifications and designs as per the needs of our clients. We bring forth for our customers an extensive array of Soap Mould for Britannia Stamper. Our employed professionals with their years of experience and expertise manufacture this product with the help of quality raw materials and modern machines. These moulds are used to manufacture soaps. They are rust free and compact in design. Besides, we have a team of quality inspectors that keep a close track on entire fabrications and the quality updated. Our customers can avail the whole array at very nominal rates. With long years of experience and affinity in this field, we are engaged in offering quality assured range of Soap Mould for Stamper. These soap moulds are finely designed and available in steel finish. These are easy to install and are rust free. Available in the forms of 4 to 6 cavity moulds for SAS Stamper 4 and 6 series stamping machines, the product comes with the system of cooling circulation and air ejection. Our customers can avail this array at very nominal rates. 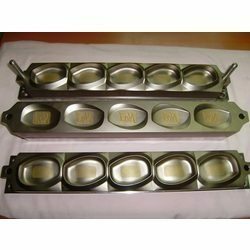 Looking for “Soap Moulds for Stampers”?